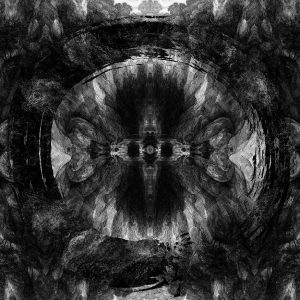 The eighth studio album for UK metal-core outfit Architects proves that they remain one of the most relevant groups in their genre and that the emotional knife they carve their music with is still sharp. The record is a 42-minute ode to founding member Tom Searle, who died on August 20th, 2016, three months after the release of the bands last album “All Our Gods Have Abandoned Us.” Searle had been living with skin cancer for the previous three years. This album is lyrically driven and doesn’t pummel the ear with as many buzz-saw guitar riffs as their previous work. They instead capture those moments in a much more efficient manner and demonstrate a keen sense of melody. There are also obvious sacrifices made in the layering of the instrumentals to give the lyrics the main stage and above all deliver a beautiful tribute to their fallen band-mate. The album starts with “Death Is Not Defeat” which begins with orchestral strings that are a theme throughout the track list. The lyrics attempt to make sense of the band’s loss, the most gut-wrenching being “Why do we fight what we can’t define?”, likely referring to the enigma of cancer. The track “Hereafter” wrestles with being unprepared for the worst. Every member gives their all with vocalist Sam Carter’s screams ringing out, taking every ounce of his breath and Dan Searle (Tom’s brother) hitting this physical drum fill at each climax of the song. “Mortal After All” is a sobering reminder that life ends in a grueling way. The strings come in again at the beginning of each chorus which leads with the line “Another part of this symphony, lost between eternity,” adding dimensions to the song’s aesthetic. While tracks like “Damnation” and “Royal Beggars” handle more common messages like seizing the day and fighting complacency, the track “Modern Misery” shines the spotlight on first world problems. This song hits another passionate vein, touching on the bands environmental activism and discussing how world resources are being abused. “Dying To Heal” ponders why life is fleeting and how Searle was taken at the pinnacle of his career. The track mixes racing instrumentals and soaring open chords paired with the painful imagery of false security. Carter belts out a powerful scream at the end of the final chorus which bleeds into a climbing guitar outro, chugging the song to a slow, furious halt. “The Seventh Circle” is the shortest track on the album and the rawest. The band strips back to a brutal sound to convey the pure hell the band has suffered. Buzzing notes between each release help the track seethe with rage as the band hits their breaking point, rejecting the reality around them. “Doomsday” was the first single off the album, originally released alongside a music video which brought Searle back through special effects to give him a proper goodbye. Instrumentally, the track didn’t seem strong as a single but made perfect sense in its place on the album. The band accepts that no amount of mourning will ever change things, that their doomsday will persist, and they must push their lives forward despite it. “A Wasted Hymn” is the band laying Searle’s spirit to rest, further accepting that all is not lost and understanding the impermanence of life itself. Carter’s range provides beautiful transitions between glistening cleans to emphatic screams as the string section adds a final golden touch as the record concludes.